The nominations for the 8th Annual Indie Series Awards were revealed today. 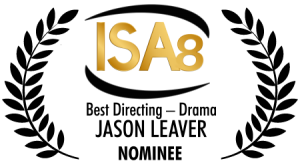 The ISAs celebrate the best in independently produced scripted entertainment created for the web. We are proud to announce Out With Dad has received six nominations this year. Our series has been nominated for Best Drama Series, which we won in 2013. Kate Conway is nominated for her seventh consecutive time for her acting, sixth in this category of Best Lead Actress (she won in 2012 and 2014). Kate is the most nominated person ever in this category. Jonathan Robbins is nominated for the first time for Best Lead Actor in a Drama. Lindsey Middleton is nominated for Best Supporting Actress in a Drama. Our fourth season cast is also nominated, for Best Ensemble Cast in Drama. Series creator Jason Leaver is nominated for Best Directing of a Drama. We would like to congratulate all of our fellow nominees. It is an esteemed pleasure to be named among you. In all, there are 48 nominated series from around the globe: United States, Canada, United Kingdom, Singapore, New Zealand, Australia and Argentina. A gala ceremony will be hosted on April 5 in Los Angeles. Jonathan Robbins will be in attendance representing all of us! 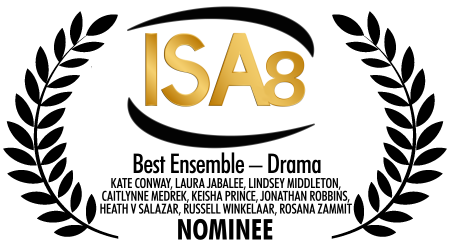 To see the ISA official announcement with all the other nominees, please visit them by clicking here.